Date for you diary! 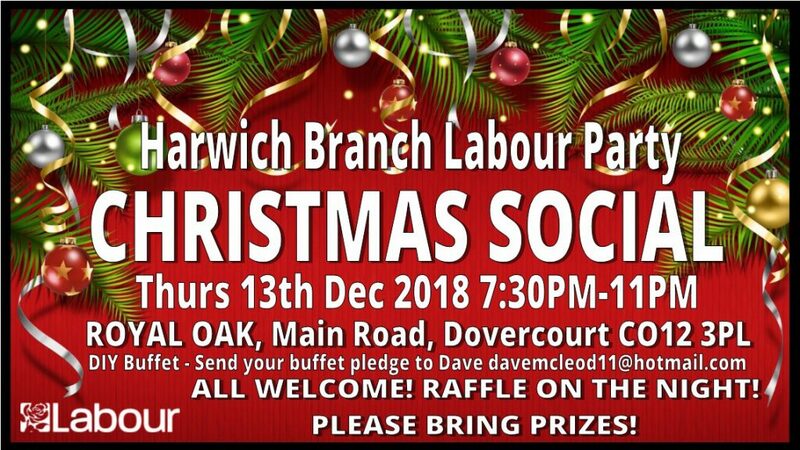 – Thurs 13th Dec 2018, Harwich Branch Christmas Social! 7:30PM-11PM At the Royal Oak Pub, Main Road, Dovercourt, CO12 3PL. ALL WELCOME! RAFFLE ON THE NIGHT! PLEASE BRING PRIZES! This entry was posted in Event, Fundraising and tagged Branch, Christmas, Harwich, Labour, PARTY, Social. Bookmark the permalink.